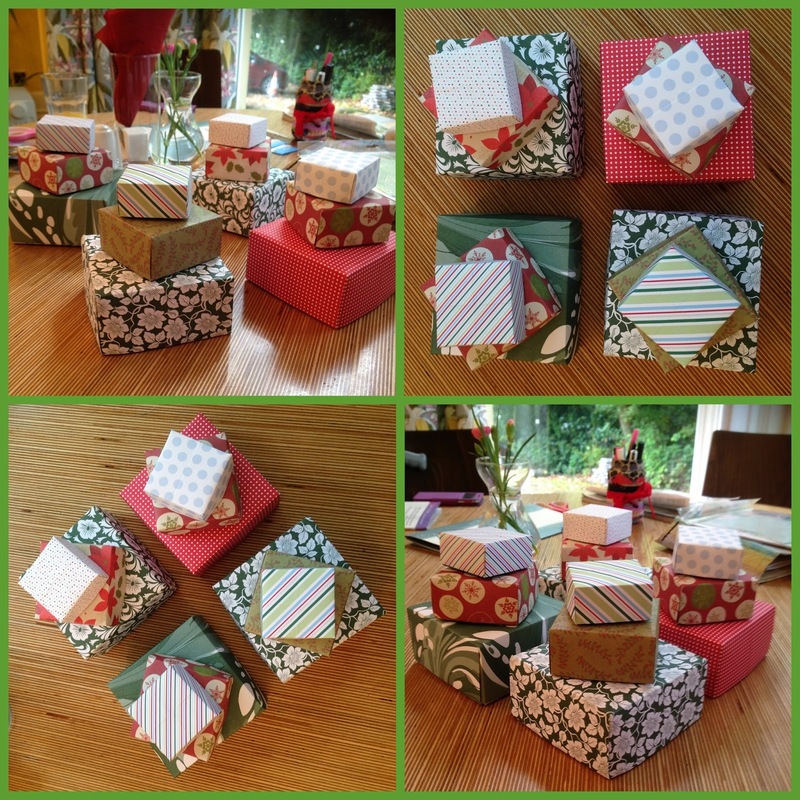 Last month I showed the group how to make folded paper boxes made from scrapbooking paper. Though, I often make them using Chiyogami paper and even old book pages. You'll probably find lots of online tutorials showing how to make them, I learned how to make them by deconstructing one my daughter had made at Brownies about 14 years ago. I now use them to present my jewellery in and find they're quick and easy to make in between customers at Craft Fairs. My ladies were natural box makers and here's what they came up with using some lovely Winter Seasonal and Christmas scrapbooking paper.